The ancient mystic wisdom of the Jewish faith offers an elegant model of the psyche. The word ‘Kabbalah’ means, to receive or to accept. If this is your first introduction to Jewish mysticism, then I hope you find the inventory enjoyable and worth your while. It won't take long, just 6 quick questions. You will receive a set of action plans based on your score, action plans which have been passed down over the millennia. Kabbalah gives specific techniques for improving your mind, body soul & your relational life. 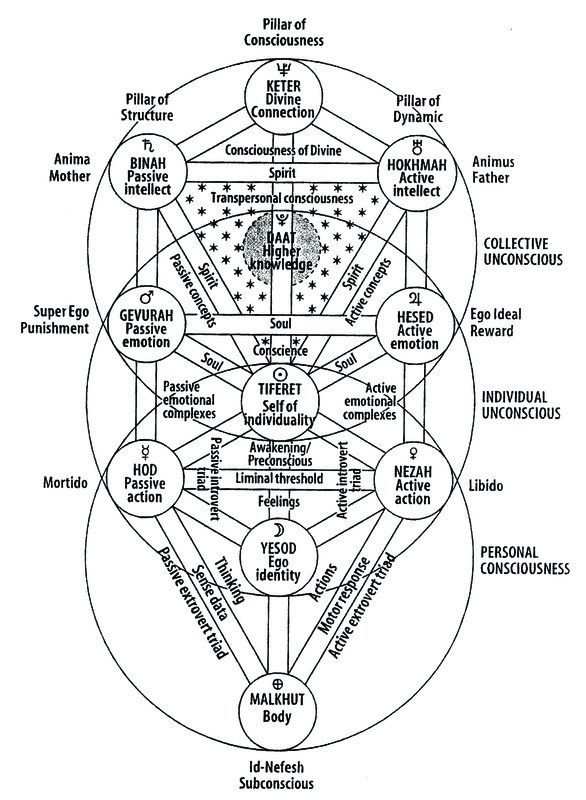 The tree of life (Otz Chiim) consists of 10 spheres of influence (Sefiroth). In this inventory we will only concern ourselves with 6 of them. It’s a great place to start. So on the left, we'll be concerning ourselves with the red and blue triads. In the image below we'll be concerning ourselves with the middle large circle. I recommend this web page and book if you are considering learning more about this subject. Click on the book to purchase. The Tree of Life Relationships Inventory gives you insight into your attachment style and how this style interacts with the spheres of influence on the tree of life. Click on the links below to understand more about your attachment style.